Opening Ceremony's awesome-sounding NYFW pop-up will include Rihanna for River Island and, possibly, cronuts. 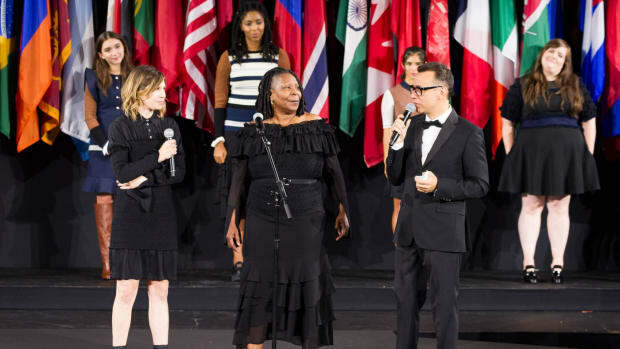 It&apos;s pretty hard to believe that in their 10 years as a New York fashion institution, Opening Ceremony has yet to put on a proper New York Fashion Week show. Of course, the brand has staged shows for its collaborations with Chloe Sevigny, but has only ever done press previews for its equally covetable in-house line. That will change next month when the brand and its designers Carol Lim and Humberto Leon inhabit Pier 57 for not only their September 8 first-ever runway show, but also a pop-up market to run from September 8-12. In addition to Rihanna&apos;s new River Island collection (OC carried the first one as well), the pop-up will include other special collections such as DKNY for Opening Ceremony, a new line of Coca-Cola Designer Drinkware products and food from Asia Dog, Café Habana, Spur Tree and the Dominique Ansel Bakery (DOES THAT MEAN CRONUTS?? ), reports WWD. 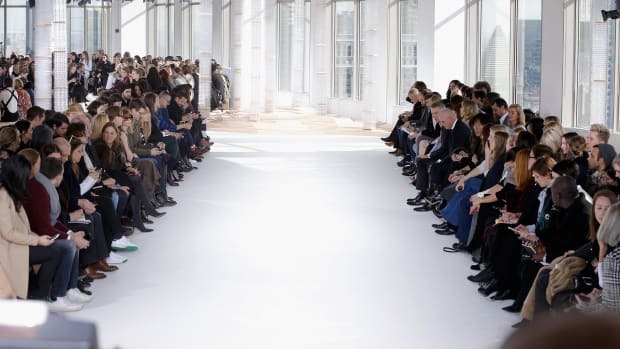 It&apos;s a pretty good idea if you ask us--they&apos;re incorporating their customers and fans--aka the reasons why they&apos;re in business--into the otherwise exclusive fashion week experience. Last night, Opening Ceremony threw a block party on Howard Street (where their flagship is located) to celebrate the stateside launch of Kim Jones' collaboration with Bean Pole, a South Korean retailer. Thus, the party was sort of Korean-themed with a Korean taco truck and cocktails made with soju. To round out the block party vibe, Brooklyn MC Theophilus London performed to a fashionable crowd that included Shala Monroque, Jen Brill, Phil Oh, and Rachel Chandler. Even new Kenzo creative directors (and Opening Ceremony co-founders) Humberto Leon and Carol Lim made time to stop by. The always stylish and multi-talented Solange Knowles was also there and joined London on stage for two songs after doing a three-hour DJ set. Even though she was probably pretty exhausted from all that, Solange, who is becoming a regular here on Fashionista, was nice enough to chat with us briefly after her awesome performance. Here's what she had to say about dj'ing, stealing clothes from her sister and doing a clothing line. Carol Lim and Humberto Leon used their NYFW stage as a platform to shed light on the importance of democracy. Rihanna's going phresh out the runway next month at London Fashion Week (and no--we don't fully understand what that means either)! River Island's just announced that it'll be showing its upcoming design collab with the Barbadian beaut at an "event" on February 16, smack in the middle of LFW. Your primer on this week's fresh meat.